A.Poisson, Laboratorie d’Oceanograpic Physique (LOP), Paris, France. Set up a reproducible primary standard of electrical conductivity, against which all future lots of standards and other standards could be measured. The standard chosen was the conductivity at 15°C of a solution of potassium chloride (KCl) in distilled water having a specified concentration chosen to give a conductivity ratio of 1 to current standard seawaters (referred to 35°/oo) at 15°C and normal atmospheric pressure. Determination of the standard concentration KCl and ancillary experiments to facilitate future work were carried out at IOS, NRC, and LOP. The standard seawater samples were supplied by the Standard Seawater Service at IOS and were known to be on the curve of conductivity (C) versus chlorinity (Cl) of recent batches, thus ensuring continuity of the scale at the transition date. The agreement among the three laboratories turned out to be as good as one could reasonably expect. The final values for KCl (IOS 32.4353, NRC 32.4356, LOP 32.4358 gKCl/kg solution have a spread of only 0.5 mg/kg (equivalent to 0.6 ppm S)).The average (rounded to 32.4356 g/kg) has been used by JPOTS in the definition of the Practical Salinity Scale 1978. Remarkable, this averaged value of KCl absolutely confirm the result, achieved by Dauphinee’s team from NRC. Determine the relationship between salinity and the ratio of the conductivity at salinity S to the conductivity of the standard seawater at different temperatures under atmospheric pressure. These measurements were carried out over he whole ocean range at NRC (0 < S < 42o/oo, -2 < t < 15°C) and LOP (4o/oo < S < 42o/oo, -1< t < 30°C) and confirmatory data was supplied by WHOI. The NRC and LOP data are in total agreement over almost the entire range of overlap to the 1-ppm level, and are with few exceptions within the combined experimental error of the confirmatory data. Determine the effect of temperature on the ratio rt of the conductivity of standard seawater (S=35o/oo).The function rt is required for most in-situ measurements where the measured quantity is the ratio of in-situ conductivity to the conductivity at 35o/oo, some reference temperature, usually 15°C and p = 0. These measurements were carried out at NRC and WHOI with confirmation from earlier work at NRC. The WHOI data lies between the two NRC sets and differs from the most-recent more-accurate set by substantially less than 1 ppm S, except at the highest temperatures. Determine the effect of pressure on the conductivity of seawater over the full range of oceanic temperatures and salinities.This function is required to correct in-situ conductivity measurements to their zero pressure equivalent before the final calculation of the salinity is carried out. Equipment to measure conductivities under pressure to the accuracy required was only available at WHOI, and so all measurements were carried out there and it was not possible to get good independent confirmation of the Bradshaw and Schleicher data. However, confirmation was available from their earlier, almost universally used pressure data, since the new and old data sets are in excellent agreement. Also field checks by other workers have indicated there are no problems with the earlier data. The new equations are based on both sets of measurements. Consolidate into a single set of equations the final experimental values as supplied by the various laboratories.These equations define Practical Salinity in term of the conductivity ratio at 15°C and give a mechanism for calculation of salinity from conductivity, temperature and pressure measurements. This part of the work was carried out at IOS-C as a “neutral party” not involved in the actual measurements, with suggestions as to appropriate forms of the equations from the groups involved and some check calculations at NRC. The outcome of this analysis has been a set of equations quite different in form from those previously in use which were shown to be inadequate to match the precision of the new experimental data base. In addition important confirmatory evidence not actually used to derive the scale was obtained from F.Millero, University of Miami, Miami,USA, and from earlier work of N.Brown and B.Alentoff, US Office of Naval Research, San-Diego, USA. One of the conditions for acceptance of any results was that there should be independent confirmation over most of the range of interest. It was decided that the measurements would be carried out on recent lots of standard seawater as supplied by the Seawater Service at the Institute of Oceanographic Sciences, Wormley, UK, weight deluted or concentrated as necessary using distilled water for all delutions. The definition of the scale, as reported by Lewis in the paper immediately following entitled, “The Practical Salinity Scale 1978 and Its Antecedents.” Equations of the Practical Salinity Scale 1978 (PSS-78) have been accepted by the groups involved and by JPOTS and were adopted by a large part of the International Oceanographic Community at the IAPSO meeting in Canberra, Australia, in December of 1979, by SCOR in September 1980, by International Oceanographic Comission of UNESCO in June 1980. 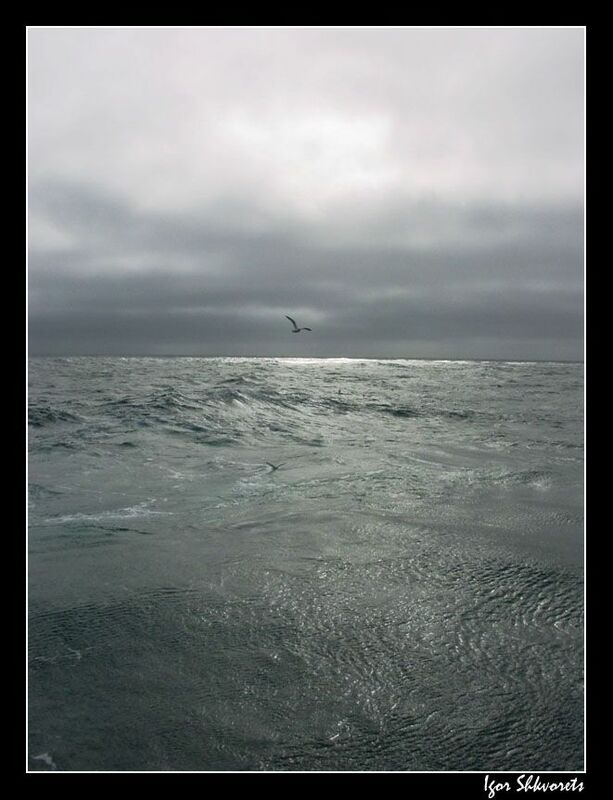 PSS-78 is recommended for use by all oceanographers in reporting future oceanographic data. For a nearly 30 years the Practical Salinity Scale in service of Oceanography as sophisticated algorithm for computation and reporting of ocean salinity data. 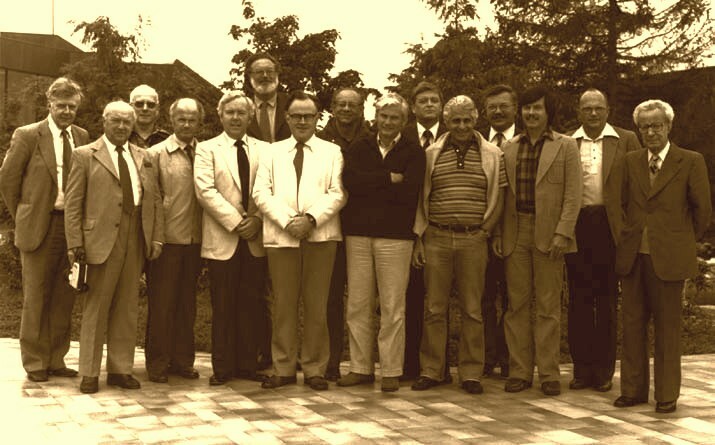 JPOTS Meeting in Sidney, BC, Canada, 1980. Left to right: J.Crease, W.Kroebel, T.Dauphinee, F.Culkin, C.Ross, E.Lewis, J.Gieskes, S.Morcos, A.Poisson, O.Mamayev, F.Millero, N.Fofonoff, R.Perkin, F.Fisher, M.Ménaché.